What explains the rise of populist movements across the West and their affinity towards Russia? UKIP’s Brexit victory, Trump’s triumph, and the successive elections and referendums in Europe were united by a repudiation of the liberal international order. These new political forces envision the struggle to reproduce and advance Western civilisation to be fought along a patriotism–cosmopolitanism or nationalism–globalism battlefield, in which Russia becomes a partner rather than an adversary. Armed with neomodernism and geoeconomics, Russia has inadvertently taken on a central role in the decay of Western civilisation. This book explores the cooperation and competition between Western and Russian civilisation and the rise of anti-establishment political forces both contesting the international liberal order and expressing the desire for closer relations with Russia. 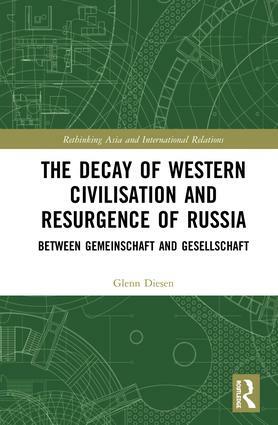 Diesen proposes that Western civilisation has reached a critical juncture as modern society (gesellschaft) has overwhelmed and exhausted the traditional community (gemeinschaft) and shows the causes for the decay of Western civilisation and the subsequent impact on cooperation and conflict with Russia. The author also considers whether Russia’s international conservativism is authentic and can negate the West’s decadence, or if it is merely a shrewd strategy by a rival civilisation also in decay. This volume will be of interest to scholars of international relations, political science, security studies, international political economy, and Russian studies. Dr Glenn Diesen is Visiting Scholar at the Higher School of Economics in Moscow and Adjunct Research Fellow at Western Sydney University. Dr Diesen specialises in Russia’s approach to European and Eurasian integration, and the dynamics between the two. This includes central topics such as ideology, energy and geoeconomics. He is the author of EU and NATO Relations with Russia(Routledge, 2015) and Russia’s Geoeconomic Strategy for a Greater Eurasia (Routledge, 2017). 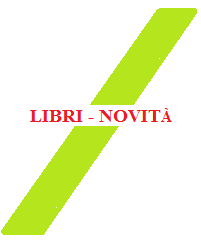 This entry was posted on lunedì, Gennaio 14th, 2019 at 18:31 by admin	and is filed under Events by Area, Far East, Others, South-Central Asia. You can follow any responses to this entry through the RSS 2.0 feed. Both comments and pings are currently closed.